A romance filled musical spectacle that will make you feel like you just witnessed something special. In this latest remake of the famed movie A Star Is Born, we get to see the incredible talents of first time director Bradley Cooper (Avengers: Infinity War, Guardians of the Galaxy) who also stars in the film opposite Lady Gaga (American Horror Story, Machete Kills). Coming from two very different worlds, Cooper plays Jackson Mains, a rock star battling alcohol and drug addiction, while Gaga portrays Ally, a young singer/songwriter working a thankless job, just on the cusp of giving up on her dreams of having a music career. While predictable and fortuitous that these two should meet in a bar, it’s what happens after their so-called “chance” meeting that few film goers could ever have predicted. Bradley Cooper is a sensational story teller, and phenomenal actor; and while Lady Gaga is no stranger to chart-topping hits, it’s her honest acting and infectious chemistry with Cooper that will keep audiences glued to the screen for the two hour long movie. At its heart, A Star Is Born is a love story built on trust, respect, understanding and a shared love for the kind of music that tells a story and shares a special message with the world that only the twelve repeating notes in a musical key can do. 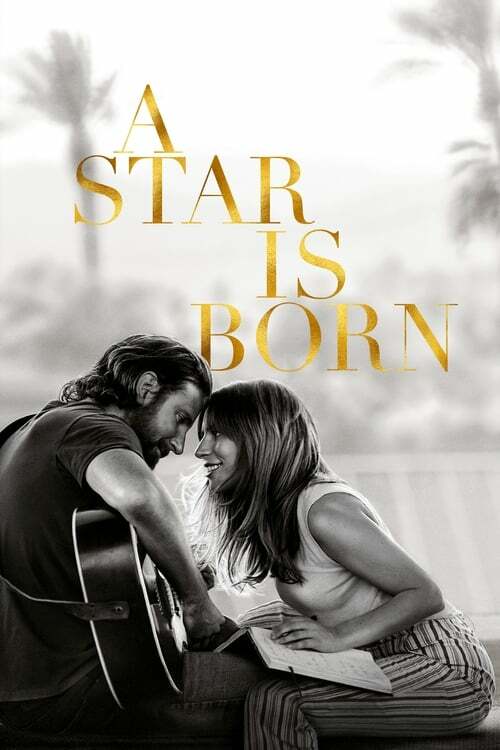 The two co-stars share a few duets, but their first one entitled “Shallow” is what audiences will likely connect with most as it is the moment that catapults their relationship and the birth of Ally as a future star. Aside from the great musical numbers peppered throughout the film, the co-stars share many beautiful moments that will leave audiences wanting more, including admiring each other’s noses, when Ally first sings to Jack in an empty parking lot, when she brings him a puppy, when she gives him a place he can call home, and so much more. Many know Lady Gaga for her wigs, makeup and outrageous outfits, but for the role of Ally she stripped it all the way down to the bare minimum, revealing a vulnerable side of herself few have ever seen, turning back to a time in her life before she was a household name in order to genuinely portray the role. In a way, even though she was acting, it felt as though I was seeing and meeting the woman behind “Lady Gaga” for the very first time. Contrary to what some might say, she’s quite a beautiful and talented woman. Completely at ease in front of the camera, she plays the role of Ally with a complex innocence that invites us into her world and makes us feel like we are right there with her as she goes on this incredible journey to stardom. Bradley Cooper gives a stellar performance, from his incredible connection with Lady Gaga, to his genuine embrace of his role as a rock star battling personal and professional demons. A far cry from the Bradley Cooper we see on red carpets, for this film he dons a sunburn and long curls, and digs deep into the layers of his character, showing us someone who has nothing and no one to turn to but alcohol and drugs. That is until Ally comes into his life and gives him something else to look forward to, someone else to not only sing for, but with. It’s a Hollywood romance brought to the big screen, with all the behind the scenes drama, chemistry, music, and even tragedy. Cooper directs the love story with a very raw and emotional eye, giving audiences the impression that they are transported right out of their seats and into the screen to experience the story alongside the characters. While the film is a bit on the long side, it tells a solid story with the exception of one scene when they have a performer sing a song from the movie “Pretty Woman.” Perhaps it was a nod to the similarities in the story and/or genre, but other than that, there appears no reason for that particular choice. By the end of the film, you’ll be laughing, crying and walking out of the theater feeling like you just witnessed something special. With these amazing performances on and off the screen, A Star Is Born could be quite the contender for next year’s awards season. It’s also a tremendous showing for both first-time director (Cooper) and first-time leading lady (Gaga) that few would have thought possible. Above all else, this is a must-see film that should easily unite fans from all stripes – film lovers, music lovers, Gaga lovers and – of course – Cooper lovers around the world.